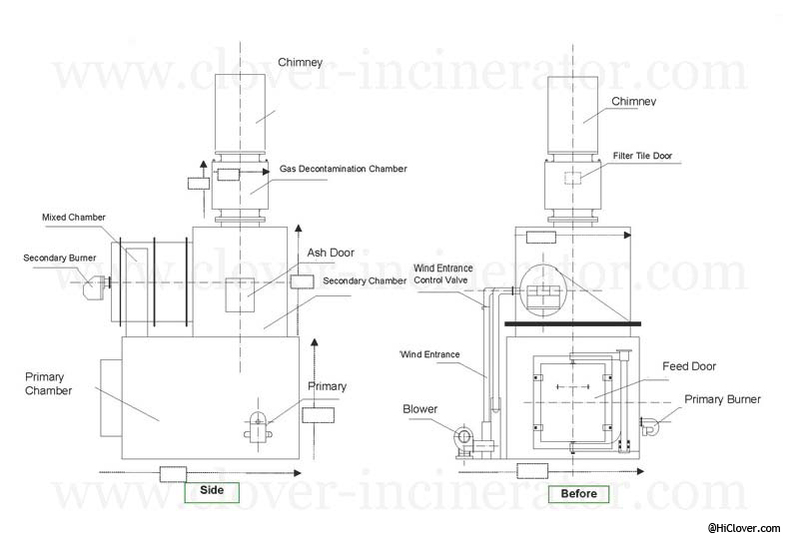 Incineration is the controlled burning of the medical waste in a dedicated medical waste incinerator. Among industry folks, these units are often referred to as hospital/medical/infection waste incinerators. The waste generally passes through the incinerator on a belt, and because most medical waste can be incinerated, the waste is not sorted or separated prior to treatment. Incineration has the benefit of reducing the volume of the waste, sterilizing the waste, and eliminating the need for pre-processing the waste before treatment. The resulting incinerated waste can be disposed of in traditional methods, such as brought to a landfill. The downside of incineration is potential pollution from emissions generated during incineration. The EPA has stringent requirements on emissions from medical incinerators. The incineration process can be applied to almost all medical waste types, including pathological waste, and the process reduces the volume of the waste by up to 90%. Residency Time 2.0Sec. 2.0Sec. 2.0Sec. 2.0Sec. 2.0Sec. 2.0Sec.